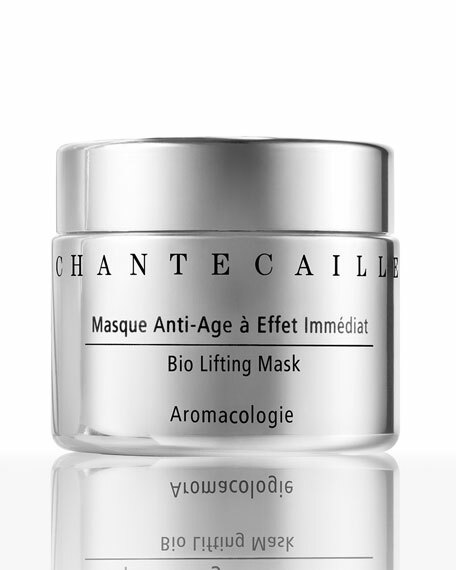 Chantecaille Rose de Mai Eye Lift, .27 oz. 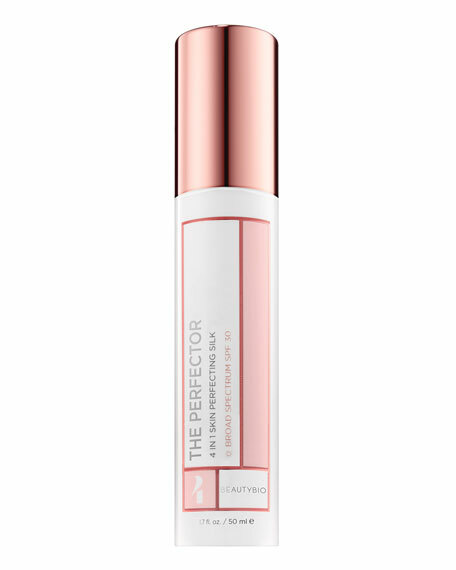 The innovative silky eye gel is made up of a billion imperceptible microcapsules of oil gently dispersed in Rose de Mai water that blend without the need of skin-stripping surfactants (perfect for the ever so delicate eye area). Infused with botanicals to reduce the look of every visible sign of eye aging: puffiness, dark circles, fine lines, wrinkles, and lack of firmness*. 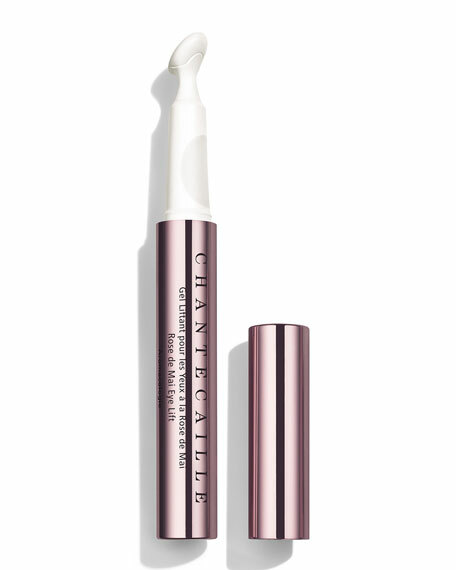 The unique pen applicator features a cooling ceramic tip that enhances freshness in application. 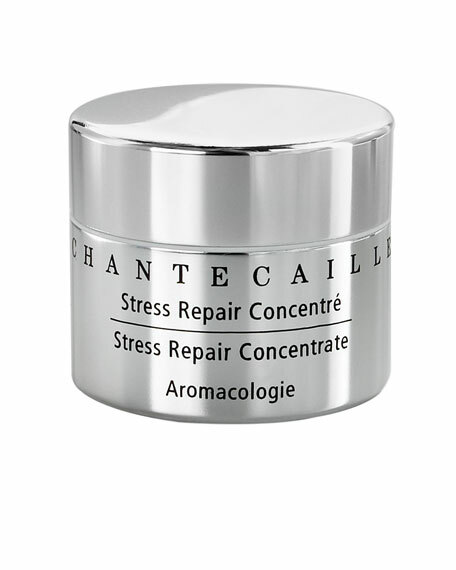 ALGAE TENSING BLEND: forms an in invisible flexible film on skin for instant skin tightening*. PERSIAN SILK TREE EXTRACT: visibly lifts the upper eye lid, fades the appearance of dark circles and smoothes the look of crow's feet*. 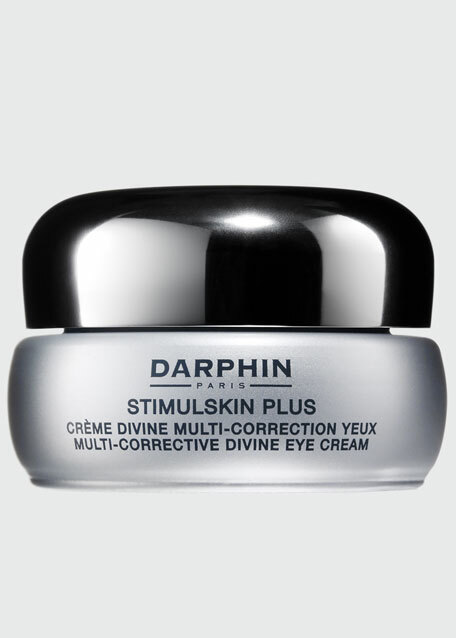 CHRYSANTHELLUM INDICUM EXTRACT: reduce the appearance of under eye puffiness*. PURE ROSEWATER: rich in vitamin C, it infuses the formula with a uniquely uplifting aroma*. 89.4% natural including a base of pure rosewater.